The “Venom” after-credits scene features actor Woody Harrelson as the serial killer Cletus Kasady, who in the comic books becomes the Spider-Man/Venom foe, Carnage. 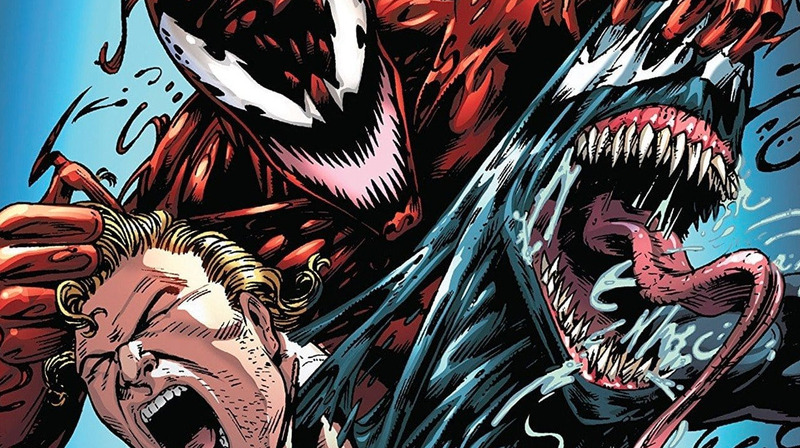 In the comics, the Carnage symbiote is an offspring of Venom that bonds to Kasady in prison. In the scene, Brock visits Kasady in prison, who vows “there’s gonna be carnage” when he escapes. With “Venom” a box-office hit, there’s bound to be a sequel – and more Carnage. Comic book readers were probably not surprised to discover who the “Venom” after-credits scene introduces to the Sony Spider-Man expanded universe: Cletus Kasady, the serial killer who becomes the symbiotic monster and one of Spider-Man’s most popular foes, Carnage. For non-comic book readers, the scene – like many world-building after-credits scenes in superhero movies today – may have been a tad confusing. Who is this guy and why should casual moviegoers care? In the comics, Carnage is an alien symbiote (or parasite) that is the offspring of Venom. When Venom bonds with Brock, he is in prison along with his cellmate, Kasady. 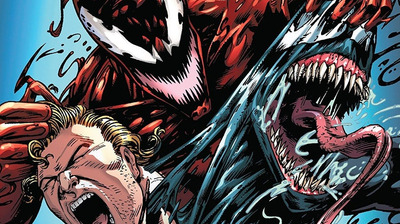 The Carnage symbiote bonds with Kasady after Venom/Brock escape prison, setting up the long-running conflict between Venom and Carnage, in which Spider-Man has regularly been caught. Since Kasady is a cold-blooded murderer, Carnage is more vicious than Venom, and hence doesn’t have some of the barriers that Venom has shown in the comics and the movie. In an interview with IGN, “Venom” director Ruben Fleischer said that the movie slightly deviates away from Carnage’s comic-book origin story so that Brock/Venom could be developed as an anti-hero that the audience roots for before introducing Carnage. The “Venom” movie alludes to the idea that there are hundreds more symbiotes from their home planet, and that we only saw a sliver of them. Whether a sequel sticks to the idea that Carnage is an offspring of Venom or an entirely separate symbiote remains to be seen.